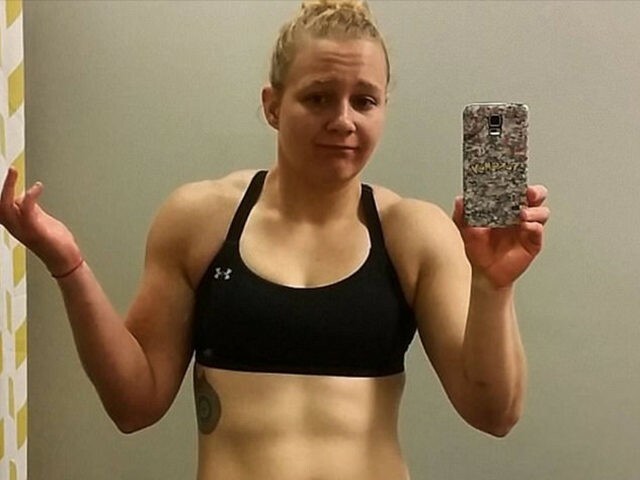 The news reads like something out of a screwball comedy: a far-left activist named “Reality Leigh Winner” somehow received clearance to work for the National Security Agency, which she allegedly proceeded to rob of classified material in the name of the kookburger anti-Trump “Resistance.” In the post-Edward Snowden era, how does someone like this get anywhere near sensitive data? She didn’t just follow the Iranian Foreign Minister, she tweeted at him. “There are many Americans protesting U.S. government aggression towards Iran. If our Tangerine in Chief declares war, we stand with you!” she gushed to Zarif. She also referred to President Trump as “the orange fascist we let into the White House,” and some other names that cannot be reprinted at a family-friendly website without exceeding our allotment of asterisks for the day. “On a positive note, this Tuesday when we become the United States of the Russian Federation, Olympic lifting will be the national sport,” she sneered in advance of the 2016 election. The totality of the Reality Winner experience reads like a joke put together for a presentation by bored NSA staffers about the sort of person that should never, ever be given a security clearance. It’s as though a far-left blog downloaded itself into a human brain and chose a name by reading its own comments section. It should also be noted that the circumstances of this Iran fangirl’s data theft are a blistering indictment of agency procedures. Even with a valid top secret clearance, Winner had no legitimate reason to see the documents she allegedly purloined. She was only caught because the website she reportedly leaked to contacted the NSA to ask if her material was legitimate. The agency that was stunned by how much sensitive material Edward Snowden managed to abscond with still doesn’t seem to be properly compartmentalizing information and enforcing need-to-know rules. Fans of the “Deep State” keep saying Trump made a big mistake picking a fight with them, but if the adventures of Reality Winner are an indication of the Deep State’s skill and discipline, Trump doesn’t have much to worry about. Also, it’s worth repeating that nobody voted to give the Deep Staters or Reality Winners control over America’s national security, law enforcement, and foreign policy. Some hay has been made over Winner’s support for Bernie Sanders in the 2016 presidential election, but that’s not nearly enough reason to question someone’s security clearance by itself. It is, however, fair to ask when the media will get around to asking Sanders if he disavows his treacherous supporter – as the press would certainly be doing if a red-hatted MAGAphile supporter of Donald Trump, boasting a Twitter feed full of right-wing causes and celebrities, had looted the NSA to help a “resistance” movement take down President Hillary Clinton. In the alternate universe where that happened, you may rest assured the media freakout about Trump saboteurs threatening the very fabric of democracy has pushed all other stories off the front page today, and the upcoming Sunday talk shows are already booked solid. Remember the Democrat freak-out about President Trump supposedly compromising American secrets by warning the Russians about a terrorist plot? Some of them don’t actually seem all that concerned about real leaks of sensitive information, as long as it furthers their political goals. Democrats have created an anything-goes, get-Trump-at-all-costs environment that’s guaranteed to drive their more loosely-wrapped supporters around the bend. If one believes, as Reality Winner evidently does, that Donald Trump is an illegitimate president who must be resisted by any means necessary, it’s not difficult to justify lawbreaking or even deliberately damaging America, for the greater good of shoving that reality-show usurper out of the White House. Our security services absolutely must take this into account when granting clearances and sweeping sensitive departments for risky personnel. No one with Reality Winner’s political beliefs can be trusted with anything sensitive, period. Democrats created the environment in which left-wingers cannot be trusted in sensitive posts, not Donald Trump. Leftists and extreme NeverTrumpers excuse every offense against this administration by saying Trump brought it on himself, just by being himself. That’s not how the rule of law works. This anything-goes climate has to be shut down, and fast, before permanent damage to our national interest is inflicted, if that hasn’t happened already. A few words from top Democrats about acknowledging elections, honoring their oaths, and respecting the Oval Office even if you despise the current occupant (remember that?) would be very helpful.